Dame Daphne Sheldrick devoted her life to rescuing orphaned elephants and advocating for their protection. 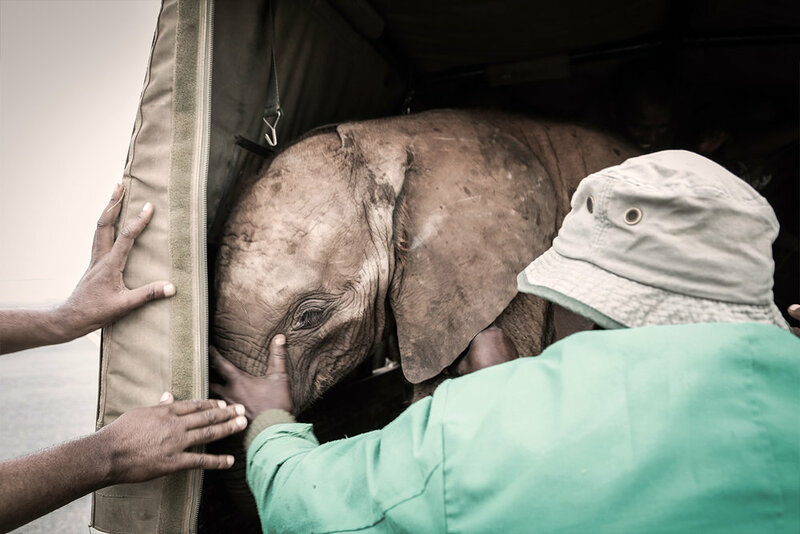 The Unsung Heroes is her final tribute to the ongoing work of conservationists, and to others who fight tirelessly for Kenya's most vulnerable orphans. By telling these stories, we hope to remember them forever. The elephants certainly will. The Unsung Heroes is a collection of previously untold stories about orphaned elephants and their heroic rescuers. The Orphans celebrated in this book come from many different corners of Kenya, showcasing the country's varied and beautiful landscape. Conceptualised and produced by Angela Sheldrick, and with an introduction and quotes from Dame Daphne Sheldrick herself, The Unsung Heroes is a must-have piece of conservation history. The David Sheldrick Wildlife Trust is a Kenyan non-profit organisation established in 1977 for the protection and preservation of wildlife and habitats in East Africa.